There's hundreds of great spots in Dolomites. It's rather difficult to choose the perfect one. So, I quickly decided on my criteria for our honeymoon's destination - it's got to be peaceful place in the mountains, close to via ferrata trails. When I found the best village to stay in, the decision was simple - there's only a few hotels in Misurina. Well, we can't really expect to be a lot of hotels that high in the mountains - Misurina is located on 1755 metres. Anyway, we chose the cheapest one available - Sorapiss . And we liked this hotel a lot. It may not be the fanciest hotel in Dolomites. Not too big, not too small. It may not offer SPA and enormous marble bathroom in an exclusive apartment. Sorapiss is definitely not for people seeking 5-star luxury. But we're not such people. Comfortable bed, clean bathroom, room overlooking the mountains - these thigs are more than enough to make us happy. What's more, the atmosphere there is great - Sorapiss staff is very helpful and friendly. The manager does his best to please the guests. Examples? We were handed the keys to storeroom (definitely not available for customers) where we could store our bikes. We were also granted a free welcome drink in the restaurant on the day we arrived. 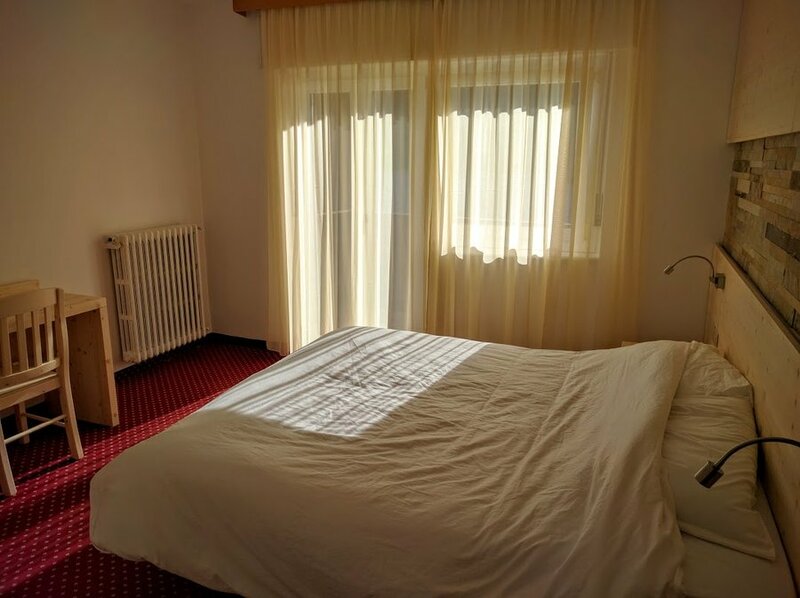 But what made us really happy was the fact that we were given more expensive, big room with balcony overlooking the lake for the same price as standard room . As the manager said, it was a bonus for the fact we booked our room for longer period of time. Fair enough! The hotel offers bed & breakfast and half board. We chose the first option as we wanted to be more idependent and check out other restaurants. The breakfasts weren't very diversified (no hot food available) but for me it was just fine. In a nutshell - Sorapiss is great value for money and if you look for a decent hotel located close to hiking trails, you couldn't possibly choose better. If you feel I left out some useful information about the hotel, feel free to comment below or contact me directly here .